Accidentally put one brown shoe and one black shoe on? Running late for a career fair or a meeting? 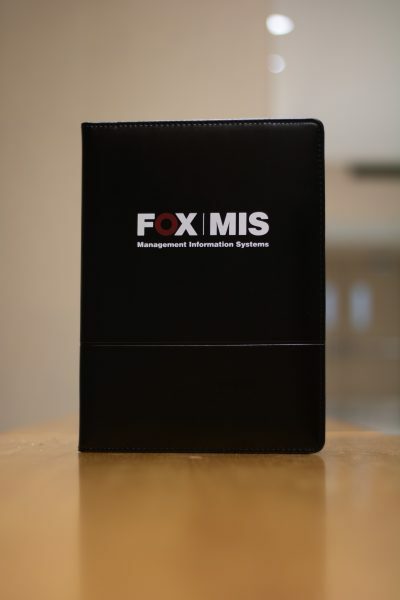 Have no fear, this FOX MIS Padfolio will make you appear* organized. Not only this, but it will take your professionality to a whole other level. Show off your MIS pride with this padfolio which includes a refillable, 30 ruled page notepad (size: 8.5” x 11.5”), inside front panels with flap pockets, and a pen loop – no pen. But hey, we have a really nifty pen in the Point Store as well! Hint hint wink wink. *Disclaimer: This padfolio will not grant you the actual power of organization. Only you, through practice and persistence, can develop this skill.